The 11th CURCA event April 16th 2015 was a night to remember with an outstanding turnout of UB students, faculty, and administrators. 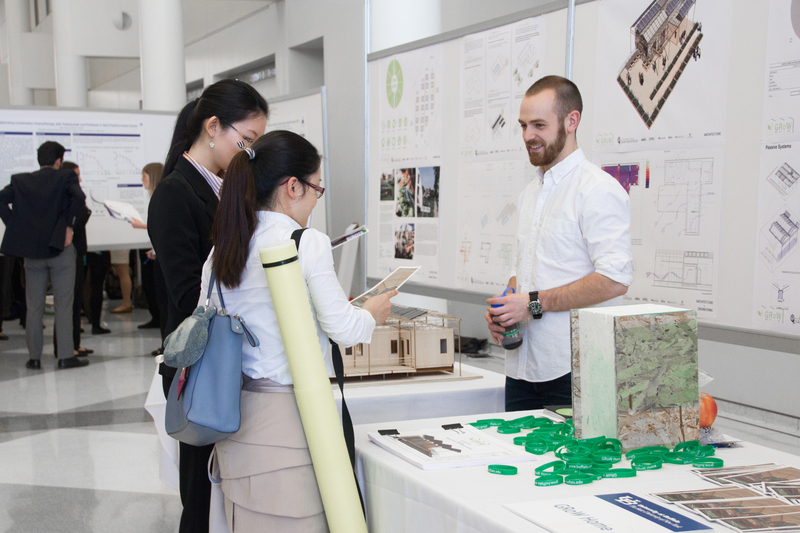 The term CURCA stands for Celebration of Undergraduate Research and Creative Activities. 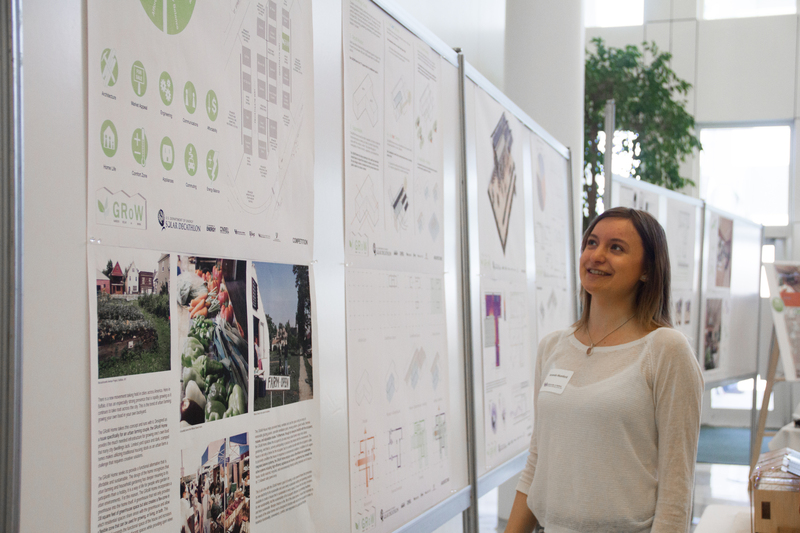 This annual celebration of Student Academic Excellence consisted of poster presentations from more than 400 undergraduate students. 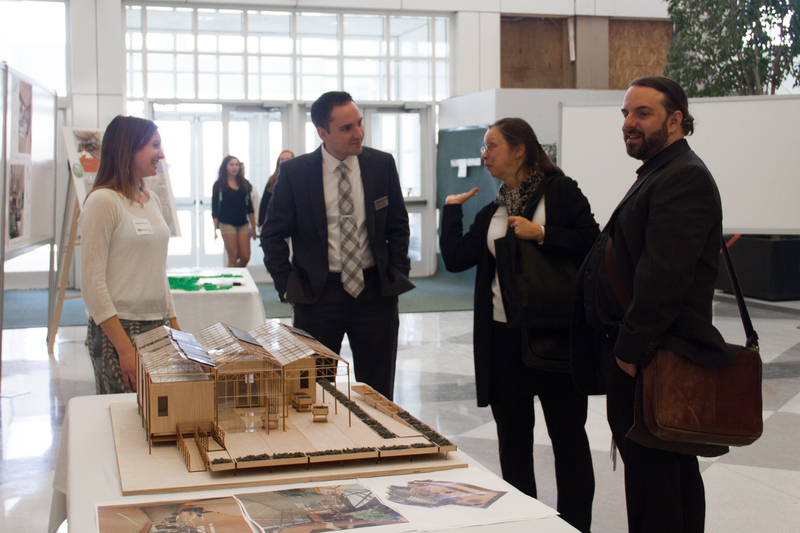 The display showcased research and creative projects nominated by deans and program coordinators from across UB’s academic disciplines. Students were present to discuss and answer questions about their work. GRoW was thankfully one of those groups, and the team displayed two boards and two tables in the back. We had the biggest display out of all the groups, so we really stood out! The class and Lance has posters and surveys for people observing on whether they liked the poster layouts or not. Fortunately, a lot of people involved in community service in the buffalo neighborhood, wanted to help with the GRoW competition. 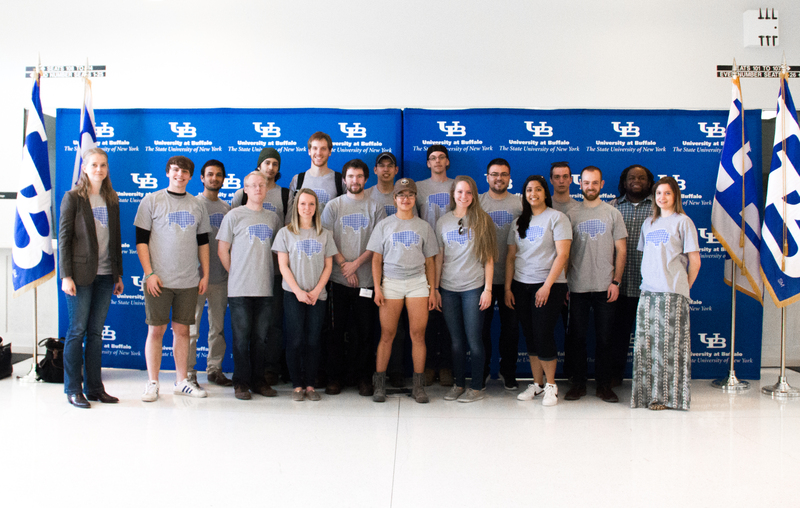 Also, this was a really big event for GRoW because for the first time ever, the team premiered their three-minute video, which featured an animated walk through of the GRoW home, UB’s entry in the U.S. Department of Energy’s 2015 Solar Decathlon. Standing for “Garden, Relax or Work,” the GRoW Home embraces the urban -arming culture of Buffalo, as well as its seasonal weather. The highly collaborative effort has involved 13 UB academic departments, nearly 150 students and dozens of faculty members. Students also are working closely with several local businesses in the design, building and solar energy fields. At the end of the event, there was an award ceremony for the best poster design of the best research class going on at school, and guess who got an award? GRoW-the best research class going on at school right now, we did it again! This entry was posted in On Campus on April 17, 2015 by .